In November of 2018, Derrick® and STEP Oiltools were awarded a contract for (4) Dual Pool® 626 VE shale shakers for Equinor and their drilling partner to upgrade the Grane platform. Grane is located in the North Sea, 185 kilometers west of Haugesund, Norway at depths of 127 meters. Grane is the first field to produce heavy crude oil on the Norwegian continental shelf. 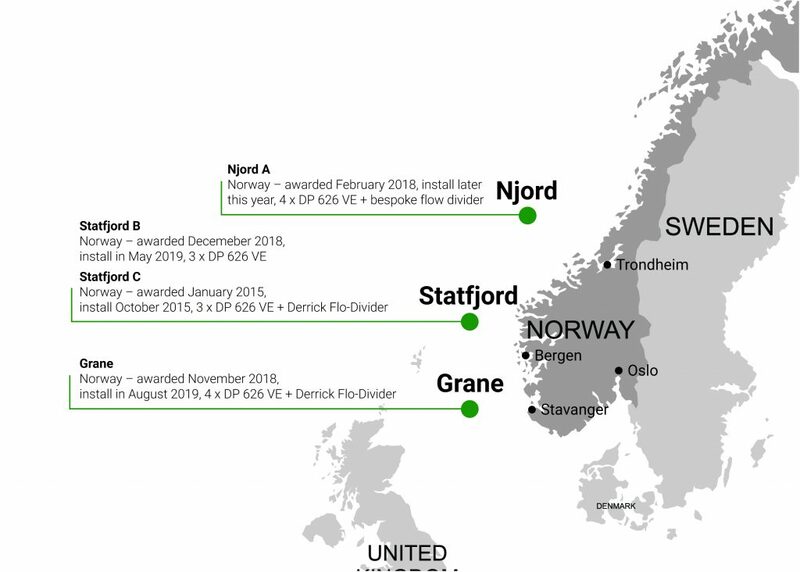 In addition to the Grane award, Equinor and their drilling partner ordered (3) Dual Pool 626 VE shale shakers for the Statjord B platform in December of 2018. Statfjord is the largest oil discovery in the North Sea and has been one of the oldest producing fields on the Norwegian continental shelf. The field is expected to stay in production until 2025 with the possibility of having its lifetime expanded. These two awards now make five consecutive shaker upgrade projects with Equinor. 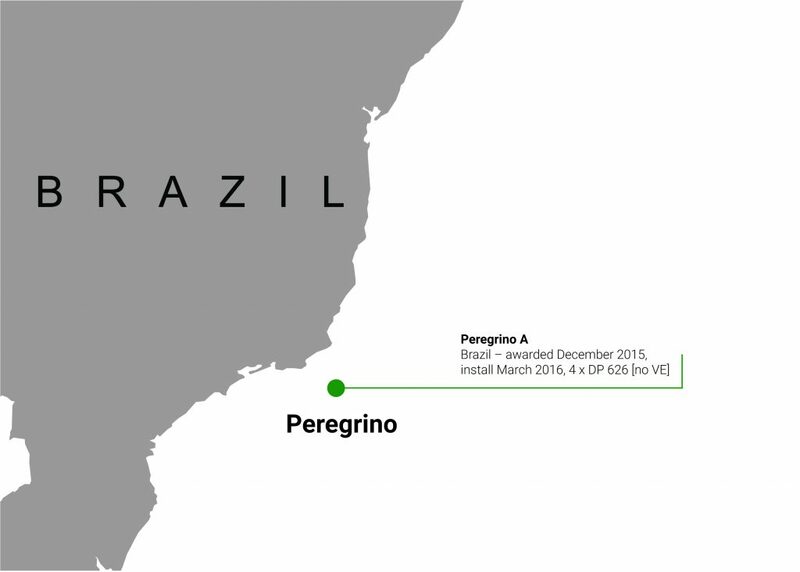 Equinor has already installed Derrick Dual Pool 626 VE shakers on the Peregrino A platform offshore Brazil and on the Statfjord C Platform offshore Norway. Derricks Dual Pool 626 VE shaker have also been purchased for the Njord A platform upgrade. With a history of award-winning service, innovation and setting new standards, Derrick was awarded these contracts due to its commitment to provide high-performance shale shakers with exceptional H.S.E. (Health, Safety, Environment) benefits. The Dual Pool 626 VE features an innovative dual concave screen frame, actuated screen compression system, vapor extraction (VE) covers and hood and scalping deck. The combination of these features enables increased solids removal efficiency and ensure a safe working environment for offshore rig crews. Derrick’s distributor, STEP Oiltools, has been instrumental in providing local support to Equinor in Norway. STEP Oiltools will provide installation and commissioning services for the Dual Pool 626 VE shakers. They also carry an in-country inventory of screens and spare parts to support drilling operations.